Destination Europe: Every year, thousands of Africans take harrowing journeys to escape poverty and a lack of opportunities in their countries. The influx of refugees is not only a humanitarian crisis, but is also putting political and social systems in Europe to the test. “Europe can expect a continuing migration boom over the next decade if nothing is done to make life better in Africa,” said Joseph “Yossie” Hollander, co-founder and chairman of Fuel Freedom Foundation. 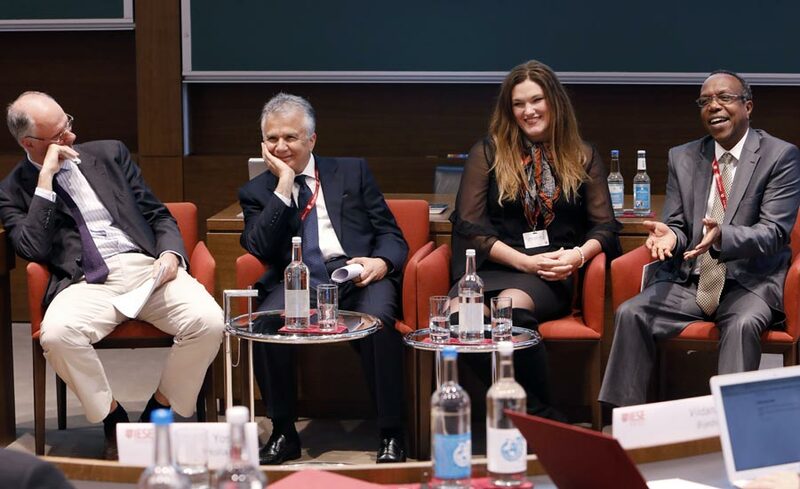 Under the banner “Addressing the EU Migration Crisis with Energy Progress in Sub-Saharan Africa,” IESE brought high-ranking experts together at the Munich campus to shed light on the situation and examine how fostering entrepreneurship in Africa can help. Transportation: Everything from food staples to critical aid goods to medicine are subject to higher costs as a result of inflated fuel costs. Fertilizers: Low agricultural yields and food scarcity are due to a lack of affordable fertilizers. Cooking fuels: Wood and biomass are commonly used in Africa for cooking food. Aside from driving deforestation, using wood and biomass leads to illnesses caused by cooking-related airborne pollution. Electricity: Most rural electricity is produced using generators that run on diesel and gasoline. The fuels are polluting and expensive, and supply is unreliable. The hardest hit in Africa are the sub-Saharan countries. For Fuel Freedom Foundation, the long-term solution to these problems doesn’t lie in aid, but in creating local initiatives with local business people. “They know what works and doesn’t in their countries, and they are the only ones who can build appropriate systems,” said Hollander. The goal is to foster scalable business approaches that address problems at their source and provide economic opportunities to millions of Africans. Examples: Investments in clean-cooking businesses, electricity generation projects, local fuel production and local fertilizer production plants. Fuel Freedom Foundation assists with seed money of up to 30%; the remaining funding has to come from African investors. To date, executive education courses have been offered in two countries: Kenya in March 2017 and Cote d’Ivoire in May 2018. Among the participants are government leaders, private sector business people and entrepreneurs, and NGOs. A case study approach is employed, with the case studies applicable to the individual markets. Melissa Blaustein, director of International Advocacy and Digital Programs at the Fuel Freedom Foundation, noted that during the course in Kenya, participants worked on a Brazilian business case on adding ethanol to gasoline. “That activity gave rise to a concrete business proposition that is being actively pursued and has already led to concrete results,” she said. To close the event, Heinrich Liechtenstein, director of the IESE Munich campus, asked Hollander about his plans for Fuel Freedom Foundation, encouraging him to think big. “We may just be at the beginning,” said Hollander. “But my target is to have 100 countries in which projects are going on. And in those countries, I’d like to see five businesses starting within three years of our involvement.” That spells hope – not only for Africa.